The General Assembly: The General Assembly is the decision-making body of spiritsEUROPE and meets twice a year. It sets the direction of the organisation, agrees the budget and approves the organisation's strategic plan for the forthcoming year. It consists of all members of the organization, each represented by a permanent delegate. The Board: The Board fills the gap between General Assemblies, ensuring urgent decisions are not delayed unnecessarily. It comprises the President, the Treasurer and 3 representatives of national trade associations and 3 representatives from the multinational companies. The President: The President is elected for two years and support the organisation in delivering the mission and objectives. Christian Porta is spiritsEUROPE’s President since November 2017. On 1 July 2018, Christian Porta has been appointed to the newly created position of Managing Director, Global Business Development. Between 2013 and 2018, Christian has been Chairman & Chief Executive Officer of Pernod Ricard EMEA / LATAM. After starting his career at Arthur Andersen in Audit Services for four years, he joined Pernod Ricard in 1988 as an Internal Auditor, following which he became Head of Financial Services at the holding. In 1994 he was appointed Finance and Administration Director at Pernod, before moving to London in 1998 as Managing Director of Campbell Distillers. 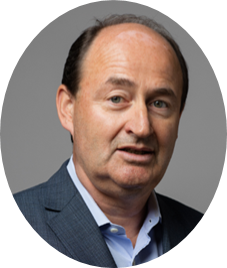 In 1999 he was appointed Chairman and CEO of Orlando Wyndham, based in Australia, before moving back to London at the beginning of 2004 as Chairman and CEO of Chivas Brothers Ltd. Christian, 55 years old, is a graduate from ESCP Business School (Paris). Standing Committees: There are 4 Standing Committees in spiritsEUROPE as well as ad-hoc working groups dealing with specific policies or technical issues. They are open to all the members, meet at least 3 times a year and position papers are formulated based on consensus reached within each committee.